Looking to give your home interior a modern upgrade? 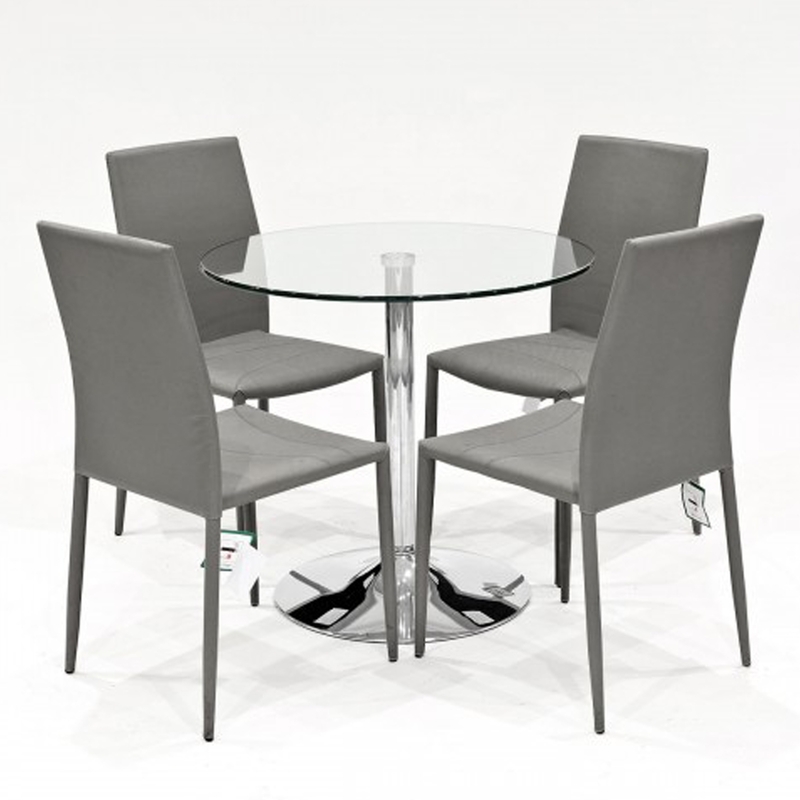 Introducing the newest addition to our collection of dining set this beautiful Grey Selina Clear Glass Dining Set. With a four grey fabric covered seats this set also includes a clear glass table in which has a chrome base. Hand crafted to the highest quality it's ensured to last a life time.